Brazil are just one step away from advancing into the last-16 stage of the 2014 FIFA World Cup, as they go into the final fixture of Group A sitting in first place with the same points as Mexico, one more than Croatia and 4 more than the Cameroon. Only two teams will advance to the knockout rounds and even though Brazil isn’t qualified yet, the main scenario where the “Escrete” would be left out of the last-16 stage would involve not only a Brazilian loss later on, but also a draw between Mexico and Cameroon. 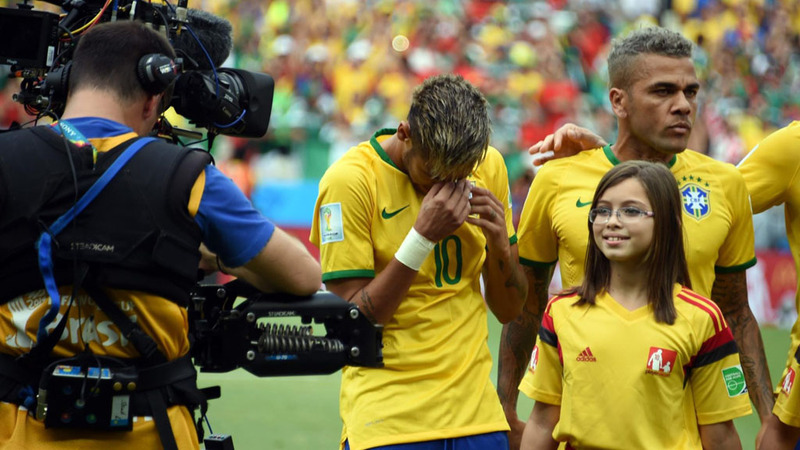 Neymar and his teammates come into this tie with only one goal in mind and that is to win tonight’s game. Brazil doesn’t know how to approach games with over cautious tactics and this match against the Cameroon won’t be any different from that. Moreover, there’s also another motivational factor ahead of tonight’s clash and that’s the fact of knowing that winning the game will most likely secure the first place in the group and by doing that, they’ll get to play against the second place from Group B, instead of its winner. With the final fixtures on that group also taking place today, all we know for now is that Brazil can end up being drawn against either the Netherlands or Chile. 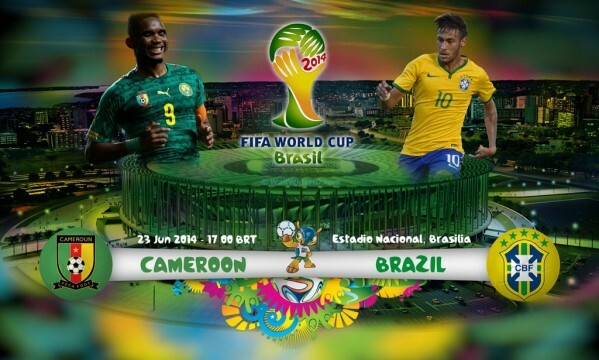 You can watch this Brazil vs Cameroon game live from Brazília at the local 5PM. Julio Cesar: Daniel Alves, David Luiz, Thiago Silva, Marcelo; Luiz Gustavo, Paulinho; Oscar, Neymar, Willian; Fred. Itandje; N’Koulou, Nounkeu, Nyom, Bedimo; Enoh, Matip, Mbia, Choupo-Moting, Aboubakar; Webó.